PETER SNOWDEN has reported Redzel to be fit and raring to go ahead of his task in the Group 2 Challenge Stakes at Randwick on Saturday. The son of Snitzel was last seen storming clear to take the Listed Mumm Stakes at Flemington ahead of subsequent Group 1 winner Terravista and, after three encouraging trial performances, the four-year-old is ready to step up to loftier heights. Redzel has previous form on a wet track having won the valuable July Sprint at Canterbury on a heavy 8 in July last year, and it will add a further challenge to his rivals, who face the daunting prospect of running down the pacey front-runner. “He’s fit and ready to go,” said Peter Snowden. “His three trials have got him right up to the mark and he looks in very good order. His work has been solid and he was very good Tuesday morning. “As for the track, he has won on the heavy but this will be the worst track he’s been on. They’ve all got to deal with it and his natural pace will help him out to a degree. They’ve got to chase him down which will be hard to do on a wet track. 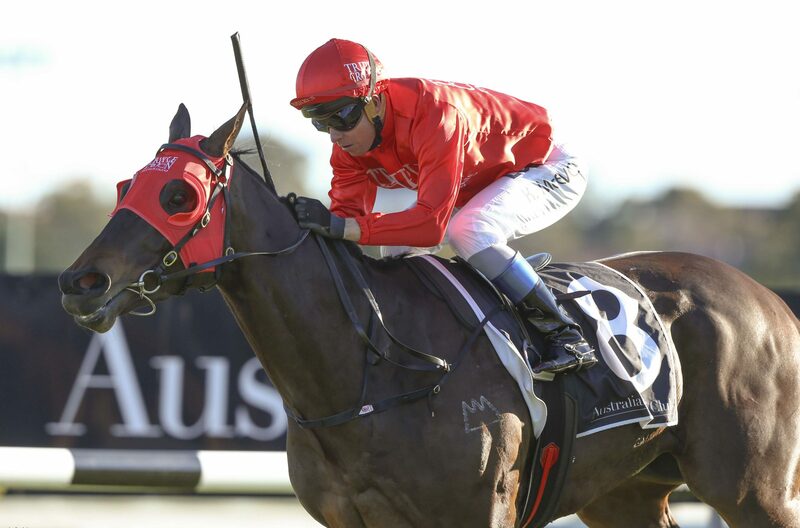 Redzel will face eight rivals over the 1000m sprint with Kerrin McEvoy in the saddle, who steered him to victory in the July Sprint.